I had recently discovered that there was such a thing as Glow in the dark yarn! Bernat had come out with such a yarn in Fall 2008, but it was only available for a limited time and the yarn has been discontinued since then. The other yarn that is currently available right now is called Nightlights. 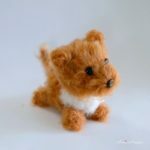 I ordered it from a shop online called Woolstock. The shipping was very reasonable and very quick as well. The skein itself isn’t all too much yarn. It’s 2 oz in total. It’s made from 100% nylon. I bought it to make myself a glow in the dark Kodama (tree spirit). 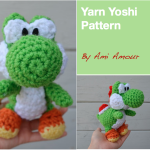 You can get the free pattern right here on my site. The texture itself is pretty scratchy. It reminds me a little bit of plastic bags. I wouldn’t recommend it for making anything like clothing. 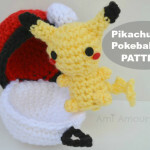 But it does well enough for amigurumis! I think it’ll also work great as an accent for a beanie. 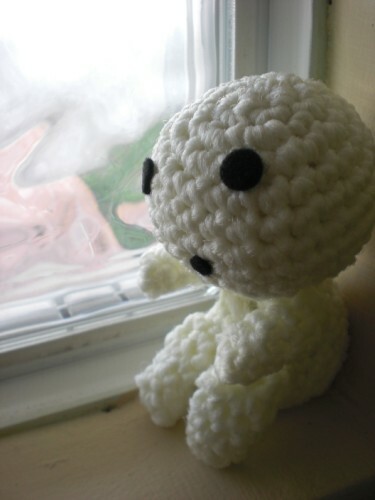 The strand itself was too skinny for my amigurumi projects, so I had to double strand it in order to make my Kodama. 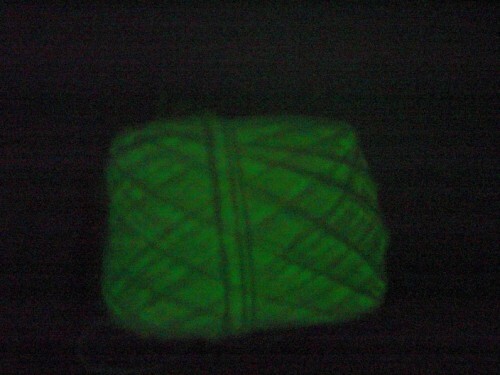 Anyways have you tried Glow in the Dark yarn before? If so, what have you made? 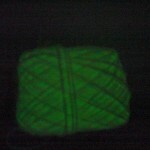 I will try and update this post later with links to different patterns you can make using this Glow in the Dark yarn. I’m sure there’s lots of uses for such a novelty as Glow in the Dark yarn! 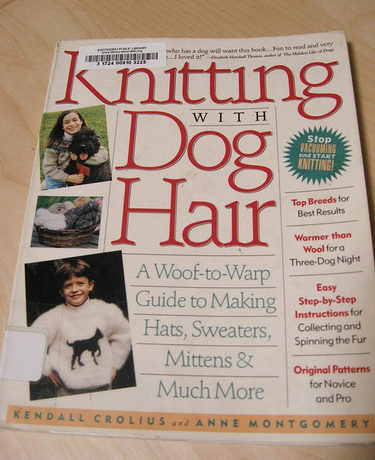 Let me know if there are any other good patterns out there for this yarn! 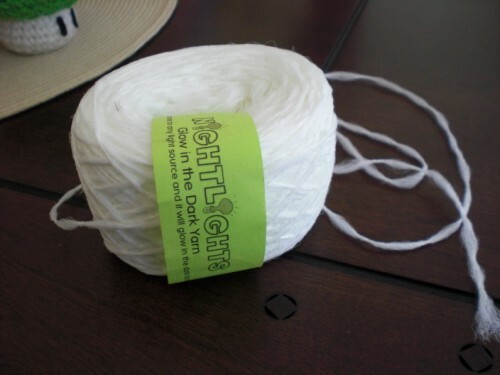 Unfortunately the Nightlights yarn is out of stock now, but I found another substitute on Amazon from Gert’s Glow House for a glow in the dark yarn. 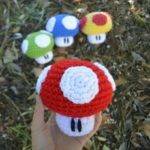 This yarn is amazing! Another great review. It didn’t take long at all. I think it was about a week or less. It was a while ago so I can’t remember exactly. I am a runner & our group is doing a Glo run! 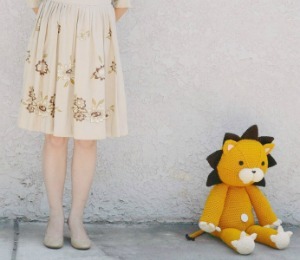 Would I be able to use this to make Pom Poms for our shoes? I’ve used Bernat’s Glow in the Dark Yarn for winter hats and mitts for my grand-child, and also as pom-poms and braids on winter hats. It’s often dark when she’s on her way home from daycare.